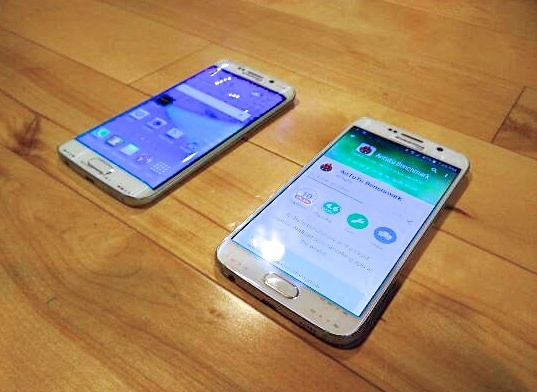 Samsung Galaxy S6 and the S6 edge are released and are being celebrated by many. The new design, premium feel, and improved hardware components have taken the consumers by a delight. In today’s Android Tips and Tricks guide, we have thus decided to write down the steps you can follow to enter Galaxy S6 Download Mode. This mode is a built-in maintenance mode which enables you to access different system permissions. Now that the device has been launched and the root has been achieved too, it would take devs no time to come up beautiful custom ROMs, kernels and mods. To flash all these awesome firmwares and custom ROMs and other such files, you will need to get into Samsung Galaxy S6 download mode. Switch your Samsung Galaxy S6 completely. Boot into Galaxy S6 recovery mode by pressing and holding Volume Down, Home and Power keys at the same time. Release all three buttons when Samsung Galaxy S6 screen flickers and you see a warning sign. Press Volume Up to continue to the main screen of Recovery mode. That’s just about it! You are now in the Galaxy S6 download mode aka Galaxy S6 recovery mode. When you are done, you can simply use the Reboot option to boot the smartphone in normal mode. If you have rooted your Samsung Galaxy S6 smartphone, and have installed some custom recovery tool like TWRP or CWM, you can boot it in Custom Recovery using apps such as GooManager for TWRP Recovery and ROM Manager for CWM Recovery. These both might not support the very latest Samsung Galaxy S6 at the moment, but you should expect support soon.